If you need skilled estate planning or elder law services in or around New Haven County, Nirenstein, Horowitz & Associates is here to help you. Our legal team is trusted by New Haven residents because we know the local Connecticut courts and we understand how to make Connecticut laws work for you. With our knowledgeable and compassionate legal advice, you can plan ahead to help your family achieve security. You can also work to ensure that you maintain your autonomy and financial security no matter what happens in your future. Give us a call to discover the ways in which a New Haven County elder law and estate planning firm can assist you with the issues that matter when it comes to planning ahead. New Haven Connecticut is a county located in south-central Connecticut. It is the third largest county in Connecticut in terms of population, and it is the county where two of Connecticut’s largest cities are located. The City of New Haven is the state’s second largest, and the City of Waterbury is the state’s fifth largest city. 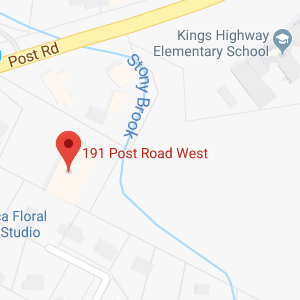 Both are located within New Haven County. New Haven County is considered to be an epicenter of advanced learning institutions, with many colleges located in this county. New Haven County is home to Yale University, the University of Connecticut, the University of New Haven, Quinnipiac University, and Southern Connecticut State University, among other prestigious and well-known academic institutions. Median incomes for households throughout many of New Haven County’s cities are well-above the national average median income, and the median income in households located within the entire county is $61,114. It is very important to make sure you manage your income appropriately and it is important that you make smart choices when it comes to building and protecting wealth. Nirenstein, Horowitz & Associates can provide assistance in using IRAs and other strategic accounts to maximize investments and to make the right money choices. We also help you to protect assets from possible sources of loss ranging from high nursing home bills to estate tax to irresponsible heirs who could inherit after you pass away. Growing and protecting your nest egg is important during your lifetime, and making a legacy plan is essential to ensure that the wealth you have worked so hard to acquire can be used to improve life for the people you love in the future. We serve the following cities in New Haven County as well as all the surrounding communities. If you live in New Haven County we can help you. New Haven County is home to many older people. According to Census Data, close to 15 percent of people in New Haven County are seniors and approximately 11 percent of households include seniors living independently with no other household members. Unfortunately, seniors could face financial or health struggles. Approximately 7.1 percent of the senior population in New Haven County was in poverty as of the most recent census. Having a low income can make life hard for older people, as can developing health issues that impact your ability to live on your own. The City of New Haven has a Department of Elderly Services, which is focused on helping people 55 and up. The Department of Elderly Services helps seniors to maintain their independence and family connections; to maintain health and wellness; and to obtain services that they are entitled to receive. Some of the programs that this Department can assist seniors with include rent rebate programs, energy assistance credits, tax help, senior centers, transportation, nutrition assistance, and more. Seniors should learn about all of the different benefits they are entitled to and should get assistance applying for benefits so that they can enhance their quality of life and protect their family and health. Nirenstein, Horowitz & Associates offers assistance with benefits, including with helping seniors get access to Medicaid if they need nursing home care. Our legal team can also help with incapacity planning and legacy planning for seniors and for people of all ages who want to be prepared for an uncertain future. It is not just seniors who need to think ahead about achieving financial security, protecting assets, and ensuring that their families can be cared for and provided for. In certain circumstances, elder law and estate law matters necessitate going to court. For example, if your loved one has passed away and made a will, you may need to go to probate court to settle the affairs of the estate and to transfer ownership of assets. If your loved one has not made an incapacity plan and is not able to care for himself any longer, you may have to go to probate court. If a trust administrator is not doing his job, you may have to go to probate court. If you have to go to probate court, you will need to select the right local court. If you live in New Haven County, you will have to visit the New Haven Probate Court at 200 Orange Street #1, New Haven, CT 06510. You can reach the court via phone at 203-946-4880. When going to probate court, you should make certain you file proper paperwork, follow the process set forth by law for addressing your issues, and come prepared to make any necessary arguments to the court. 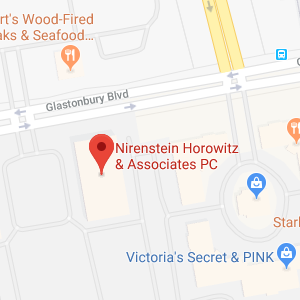 Nirenstein, Horowitz & Associates can assist you throughout the entirety of your involvement with the Connecticut court system. You cannot and should not wait to make your plans for the future. Whether you want a secure retirement, the protection of your nest egg, a plan for the end of your life, or an estate plan that secures your legacy, Nirenstein, Horowitz & Associates can help you to achieve your goals. Give us a call at 860-548-1000 or contact us online to discover the ways in which a New Haven estate planning and elder law firm can guide you towards the effective use of the legal tools that let you achieve financial security and a strong legacy.